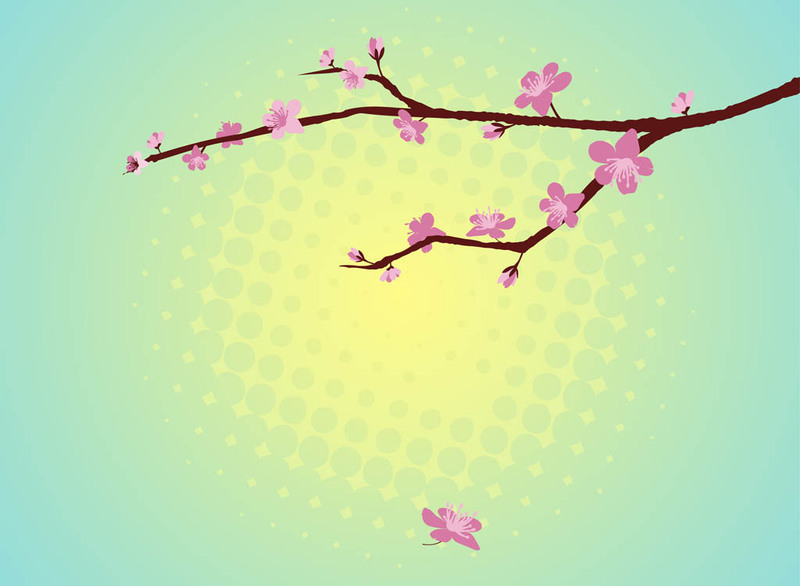 Nature vector footage of a blooming cherry tree branch. Thin twig with dark bark and beautiful blossoms. Cherry flower flying away from the tree. Free vector graphics for spring, nature, plants, trees, gardens, gardening and flowers designs. Tree branch to decorate greeting cards and posters. Tags: Blossom, Blossoms, Flowers, Japan, Petals, Sakura, Spring, Tree.